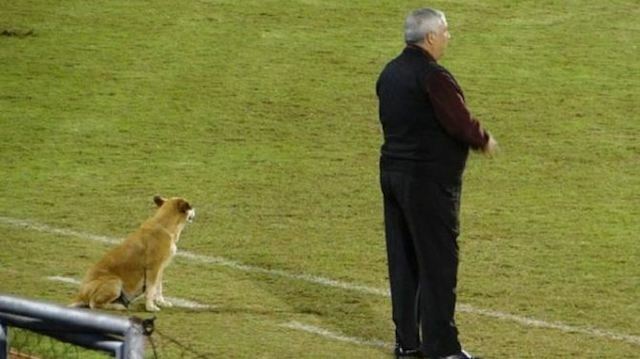 A Paraguayan soccer club has an assistant coach who is melting the hearts of animal lovers everywhere. 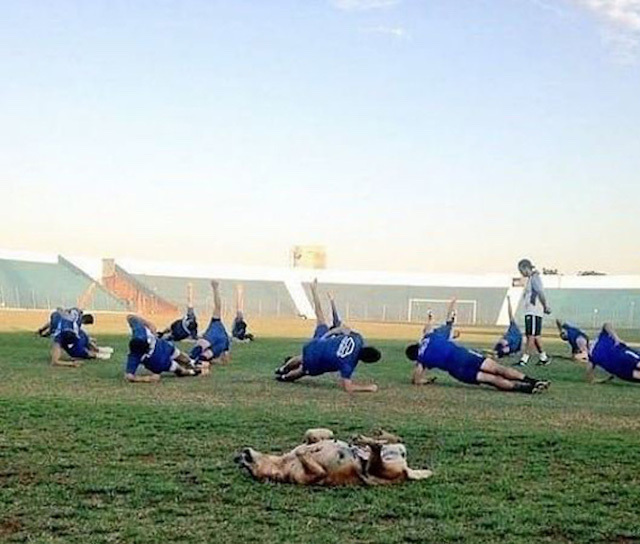 A stray dog has become a welcomed to the Paraguayan soccer club 2 de Mayo and participates in all their activities. Not only does she watch matches from the sidelines, the stands and by the coach’s side, she cheers her team on and growls at their opponents. 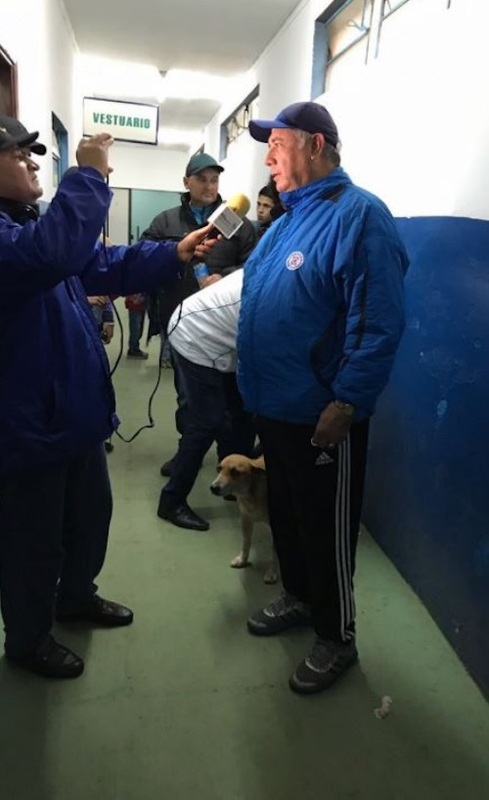 Coach Carlos Jara Saguier, 61, says he befriended the dog after he gave her a piece of pie. “I gave her a piece of pie [empanada] and from that day on, every time I came to work, she greeted me. She no longer ran away from me. Now she threatens our opponents with a grunt,” Saguier said. The coach says that the dog, nicknamed Tesapara, is his “partner” and follows him everywhere. She’s there when he’s being interviewed after a game. 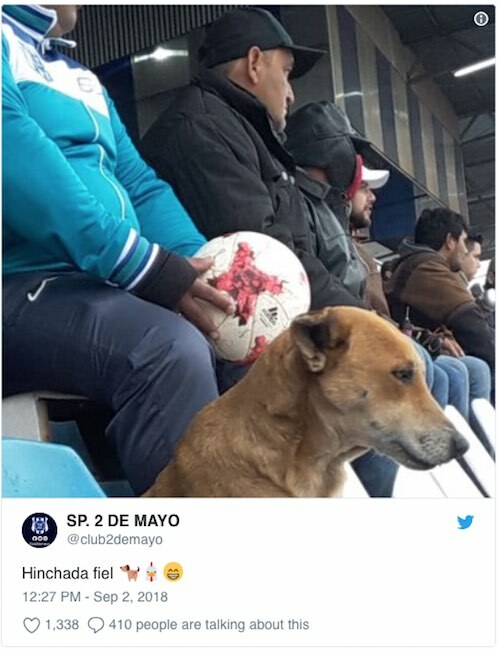 She watches matches in the stands when she isn’t allowed in the technical area. And she even joins in on practice, which Saguier particularly enjoys. “The thing that makes me laugh is she tries to imitate the movement of the players during training,” he said. We love how Tesapara has found a place she is welcome and made herself invaluable to the team!